A 36-YEAR-OLD garda and mother of two, who was kicked and injured by a woman in a patrol car, has been awarded damages of just under €40,000 in the High Court. Justice Tony O’Connor said during a Garda Compensation hearing that Garda Sinead McBride had developed post-traumatic rotator cup tendonitis in her left shoulder following the assault and suffered pain for three years and still experienced occasional twinges more than seven years after the incident. Barrister Fiona Crawford, who appeared for Co Donegal-based Garda McBride with Gallagher and Brennan Solicitors, Letterkenny, told the court Garda McBride had been kicked in the shoulder by “an aggressive and abusive” woman who had been arrested following a disturbance at a family home in August 2011. Garda McBride, of Largenreagh, Downings, Donegal, told Judge O’Connor she had been driving the local patrol car and the arrested woman had been sitting in the back and kicked her in the back of her left shoulder. Garda McBride told Crawford she had suffered pain in her shoulder for more than three years and had difficulty nursing her children. At one stage when she had to undertake baton training she had aggravated her shoulder injury by having to carry a heavy shield in her left hand during the exercises. She would also suffer pain if called on to do traffic control work. She said that today, more than seven years after the incident, her should pain would reoccur at least several times a year. She had since taken a year’s career break and during the pregnancy of her two children had been unable to take any painkillers. She told the court she was expecting another baby and would still be unable to take painkillers. Garda McBride said she had received injections into her shoulder joint, the first of which had not given her any relief. Judge O’Connor said Garda McBride had come across as a genuine witness and had made light of her experiences following the incident. She had at least 20 sessions of physiotherapy and had substantial expenses outlays of more than €4,000 with regard to her treatments. The judge said that while there had been a recent judgment with regard to the application of financial guidelines in dealing with garda compensation he felt her case was somewhat different than the usual soft tissue injury and she should not suffer any disadvantage in her claim as against what a plaintiff with similar injuries and suffering would receive in damages in the ordinary course of court awards. 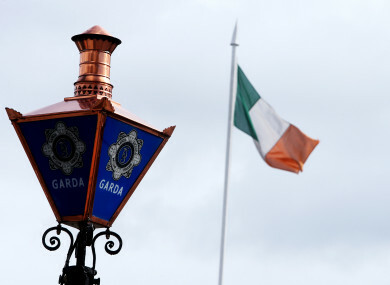 Email “Garda awarded just under €40k after being kicked and injured by woman in patrol car”. Feedback on “Garda awarded just under €40k after being kicked and injured by woman in patrol car”.